Unlike other shippers, we don’t take your money until your vehicle is assigned to a carrier. When you place your order, a credit card is put on file and authorized, similar to a car rental agreement. We process your deposit charge only when your vehicle is dispatched to a carrier. The balance is due at delivery with cash or cashier’s check directly to the carrier. If you cancel your order before we find you a carrier for any reason, your card will not be charged. We only get paid if we succeed in matching you with a carrier that meets your needs within your budget. Your carrier will do their best to stay on schedule. But outside factors from weather to mechanical issues could conceivably delay a driver. 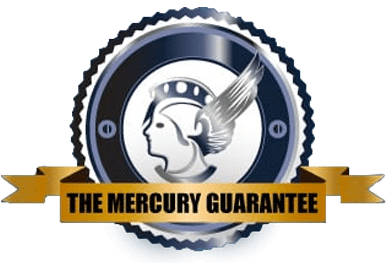 If your vehicle isn’t picked up within three (3) business days from your first available pick up date, you can cancel and receive a full refund of your deposit from Mercury Auto Transport or have us assign a different carrier.